Proctor’s athletics program encourages participants to practice the school's core values by demonstrating sportsmanship while striving to attain competitive excellence. Varied offerings provide growth promoting experiences, preparing participants for success as they develop competencies through collaboration with others to achieve personal and group goals. Proctor promotes athletic achievement commensurate and in balance with the success of all of the school's programs. "From our oldest to our youngest players we are all like family. We have two captains on our team, but there are so many guys who step up and hold big roles on the team even though they may not have the title of captain. We trust each other both off and on the field, and that is key to our success." Read more about the varsity baseball team in this week's spotlight HERE. Known as the school on skis throughout the 1940s and 1950s, Proctor’s commitment to snow sports has never been more prominent than it is today. Across all on-snow programs, the quality of coaching, access to a privately owned and operated training/race venue, and flexibility of support within Proctor’s academic curriculum has opened doors to experiences past generations of Proctor students could only dream of having at their fingertips. Read a season update from Proctor's USSA/FIS ski team HERE. 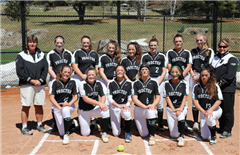 Proctor’s Varsity Softball team has battled cold temperatures, persistent snow, and plenty of rain this spring, but are finally in action. 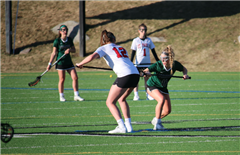 After graduating two seniors off of last year's Lakes Region Championship team, the remaining pieces are back and a some new talent has made this squad an immediate contender for a repeat title. Read the full team spotlight HERE.